CHICAGO - Simultaneous PET/MRI can produce diagnostic-quality brain scans and interpretation results that compare favorably with PET/CT in patients with clinically suspected dementia, according to a study presented on Thursday at RSNA 2013. Preliminary findings showed good concordance of diagnosis and severity of findings between PET/MRI and PET/CT when evaluated by two experienced nuclear medicine physicians, the researchers found. "To the best of our knowledge, this is the first study to evaluate the clinical interpretation of PET data derived from a simultaneous PET/MRI scanner compared to PET/CT," lead author Dr. Kent Friedman, of NYU Langone Medical Center, told AuntMinnie.com. "We believe that the high degree of intrareader agreement with respect to overall diagnosis and identification of regional abnormalities argues that simultaneous PET/MRI is now a viable clinical tool for the evaluation of patients with dementia." In the study, 19 patients with clinically suspected dementia underwent a 15-minute PET/CT brain scan (Biograph mCT, Siemens Healthcare) 45 minutes after injection of 10 mCi of FDG. Simultaneous PET/MRI (Biograph mMR, Siemens) followed approximately 90 minutes after FDG injection. The two experienced nuclear medicine physicians blindly interpreted the PET portion of all PET/CT scans and made a specific diagnosis for each case. The assessments included conclusions of no disease, Alzheimer's, frontotemporal dementia (FTD), Lewy body dementia, other dementia, mixed phenotype, or an unspecified disease. They also rated the severity of the affliction from mild to moderate or severely abnormal. The readers then blindly interpreted the PET data obtained from PET/MR. 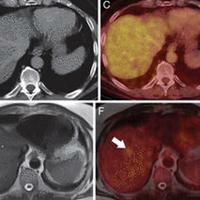 PET/CT served as the reference standard in the study. One reader classified 12 PET/CT scans as Alzheimer's, five as unspecified dementia, one as Lewy body dementia, and one as normal. The reader's mean score for severity was 2.0. The second reader classified 10 PET/CT scans as Alzheimer's, three as unspecified, one as Lewy body dementia, and five as normal, with a mean severity score of 2.1. When compared with PET/CT, PET/MRI interpretations yielded 84% (16/19) intrareader agreement in diagnosis. Also, 95% (18/19) of severity scores varied by one point or less between the two readers. The second reader achieved 84% intrareader concordance of dementia pattern diagnosis, with 89% (17/19) of severity scores varying by one point or less. 3D surface projections of FDG-PET data in a patient with Alzheimer's disease. 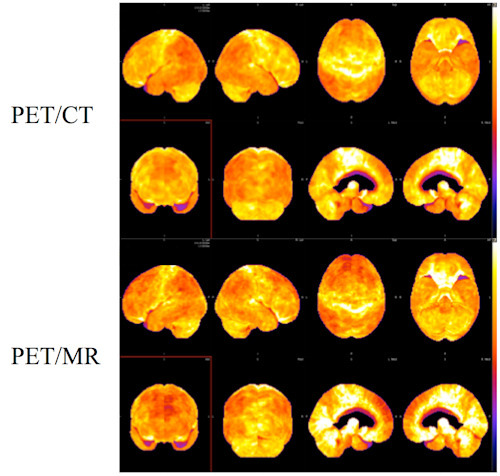 PET/CT (top two rows) followed by PET/MRI (bottom two rows) using the same tracer injection showed similar diagnostic results. Image courtesy of Dr. Kent Friedman. "The key point is that simultaneous PET/MRI can be used clinically right now for the evaluation of dementia, as an alternative to PET/CT," Friedman said. "The PET data is of sufficient quality to make accurate diagnoses." 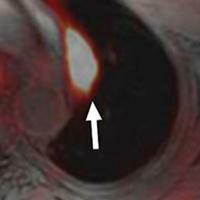 The results validate the hybrid imaging technique with respect to PET image quality, and the benefits of PET/MRI can be realized, the researchers concluded. "Firstly, those individuals who require both a PET and an MRI may undergo both tests simultaneously," Friedman said. "This is more comfortable for the patient and saves time. As an additional benefit, radiation exposure is reduced since CT is not required. Perhaps even more important, there is additional diagnostic information obtained by MRI that is not always apparent on CT."
He added that in the near future, real-time motion correction of PET data based on MR motion tracking should further increase PET quantitative accuracy. "Refinements in bone attenuation correction are on the near horizon as well," he said. The NYU Langone researchers are preparing several papers to offer a more detailed assessment of the quantitative accuracy of PET data derived from PET/CT and PET/MRI. "The next steps are to validate the accuracy of PET/MRI for evaluation of smaller subcortical structures, to aid in making diagnoses of more rare neurological diseases, and to support the research community," Friedman said. "Integrating motion correction and improved bone attenuation correction into our routine practice is another major effort."